Situated in Trequanda, this residence is 0.1 mi (0.1 km) from Val di Chiana and within 9 mi (15 km) of The Saints Peter and Andrew Church and Piazza Pio II. Palazzo Comunale and Museo Diocesano are also within 9 mi (15 km). 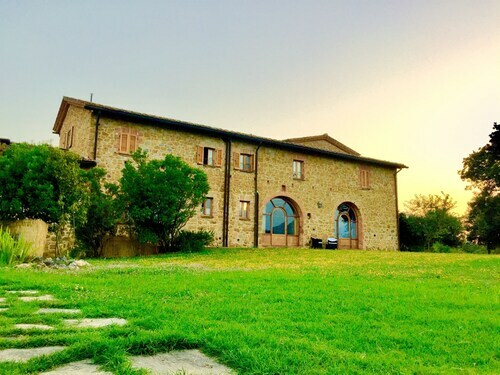 Situated in a regional park, this hotel is 0.1 mi (0.1 km) from Val di Chiana and within 6 mi (10 km) of Pieve di Corsignano and Palazzo Vescovile. Museo Diocesano and Palazzo Comunale are also within 6 mi (10 km). 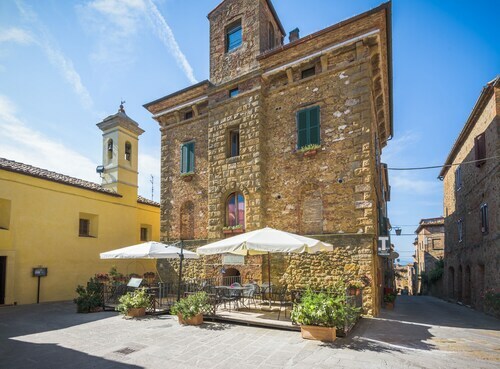 Situated in the historical district, this hotel is 0.1 mi (0.1 km) from Val di Chiana and within 6 mi (10 km) of The Saints Peter and Andrew Church and Palazzo Piccolomini. Piazza Pio II and Palazzo Comunale are also within 6 mi (10 km). Situated in Trequanda, this country house is 0.1 mi (0.1 km) from Val di Chiana and within 6 mi (10 km) of Piazza Pio II and Palazzo Comunale. Museo Diocesano and Palazzo Vescovile are also within 6 mi (10 km). How Much is a Hotel Room in Trequanda? Hotels in Trequanda start at $57 per night. Prices and availability subject to change. Additional terms may apply. Trequanda offers visitors to Siena a quality assortment of comfortable lodging options to choose from. Travelocity's comprehensive database features 47 hotel options within 6 miles (10 kilometers) of Trequanda's center. Some Travelocity-listed hotels located a short drive from the center of downtown Trequanda are the Agriturismo Renello and Le Crete. 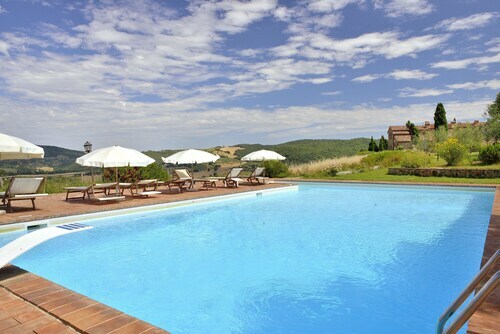 The Rosewood Castiglion del Bosco can be found 14 miles (23 kilometers) away from the main part of Trequanda. Another place to stay is the Castel Monastero, which can be found about 14 miles (22 kilometers) away. Alternative places to rest your head are the Castello di Velona SPA Resort & Winery and the Adler Thermae Spa & Wellness Resort. Would you like to head a little bit further afield? Tuscany offers many options to check out. Discover Tuscany's ruins, castles and traditional villages. Anybody drawn to nature could also leave time to admire the region's rural landscapes. Modern travelers in this section of Italy will enjoy snowboarding, skiing and snow shoeing. Val d'Elsa is 35 miles (53 kilometers) to the northwest of Trequanda and features Archeological and Collegiate Church Museum and Torre Rognosa. Some Travelocity-listed Val d'Elsa accommodations include the Tenuta Di Mensanello and Torraccia di Chiusi. 11 miles (18 kilometers) to the south of Trequanda, you will reach Val d'Orcia, which features the Hotel Osteria Dell Orcia and Locanda del Loggiato. Regardless of whether you're passing through or spending a few nights in Val d'Orcia, set aside some time to explore the Collegiate Church of San Quirico and Palazzo Chigi. Ensure yourself a fix of local sport by making a trip to Stadio Artemio Franchi, which is 45 miles (75 kilometers) to the northwest of Trequanda. Find accommodation in the middle of the action at the Four Seasons Hotel Firenze or the The St. Regis Florence. Peretola Airport is a practical arrival point for flights, and is 50 miles (80 kilometers) away from Trequanda's downtown area. 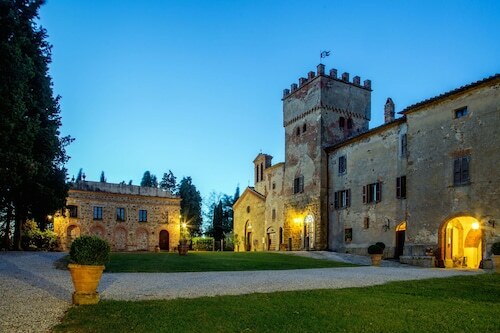 Travelocity-listed hotels nearby are Torre di Bellosguardo and Sina Villa Medici. LA Gelosa 8 Sleeps, Villa With Private Pool at Exclusive Use! Villa Archi 14 Sleeps, Villa With Private Pool at Exclusive Use!